The November drizzle fell on the boat in a not unpleasant manner and gave one the distinct feeling that under the duvet was a good place to conduct most of the day’s activities. However, Flash is a forthright dog with an unerring drive to thrash about in the countryside upsetting all of God’s little creatures. Every morning at dawn he has made up his mind that it is this very morning that he will finally get a squirrel in his chops, and the venture must not be delayed a second longer. This morning was no different and I was able to get no peace until I had my waterproofs and wellies on and was stepping out of the bow doors, lead and whistle in hand. It was one of those sullen grey days that squashes you down into the mud and squeezes all of your go-go juice into the canal. What’s more, I had run out of milk and this was going to play havoc with my tea drinking habit. However, a chap can’t be kept down long when his thoughts turn to the joys of a patch of hardy annual flowers billowing about on a summer’s day, full of bees and sunshine. Within a few minutes, the old Higgledy bounce was back in my step as I planned what I would be sowing in the fast-approaching season. 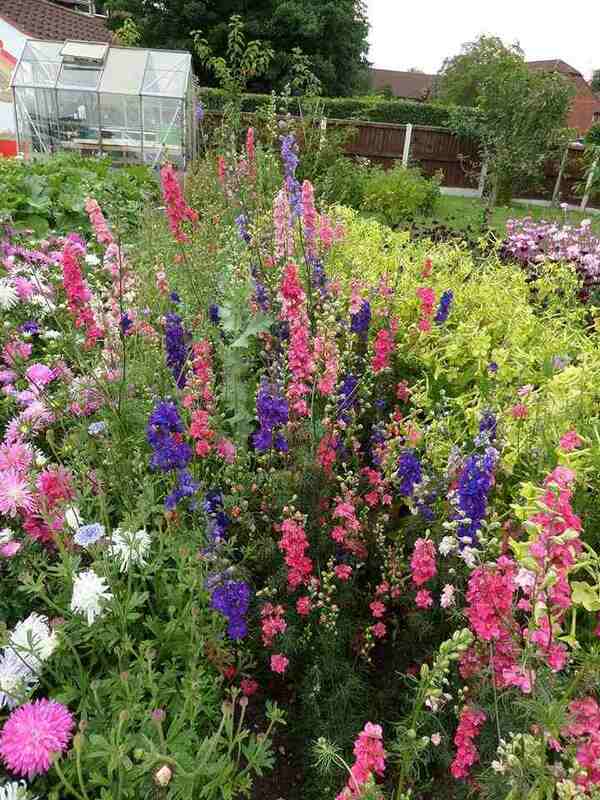 FAQ: Dear Higgers, What exactly are these Hardy Annuals which you keep banging on about? 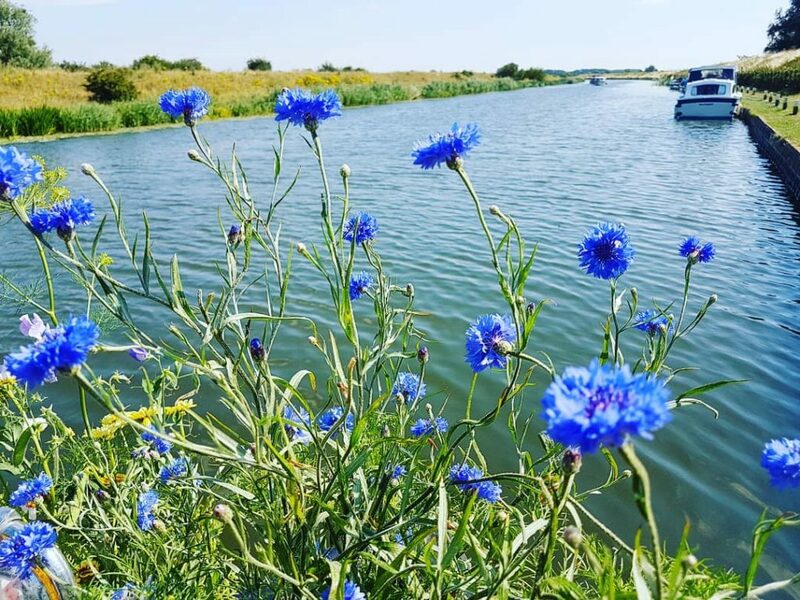 Cornflowers on the boat garden as we cruised down the Great River Ouse. Hardy annual flowers are simply annual flowers that can withstand our frosts and can, therefore, self-seed in the autumn, their seeds can germinate, and the seedling will survive the winter. Or the seeds can stay dormant in the soil and germinate when the soil warms up in late March and April. 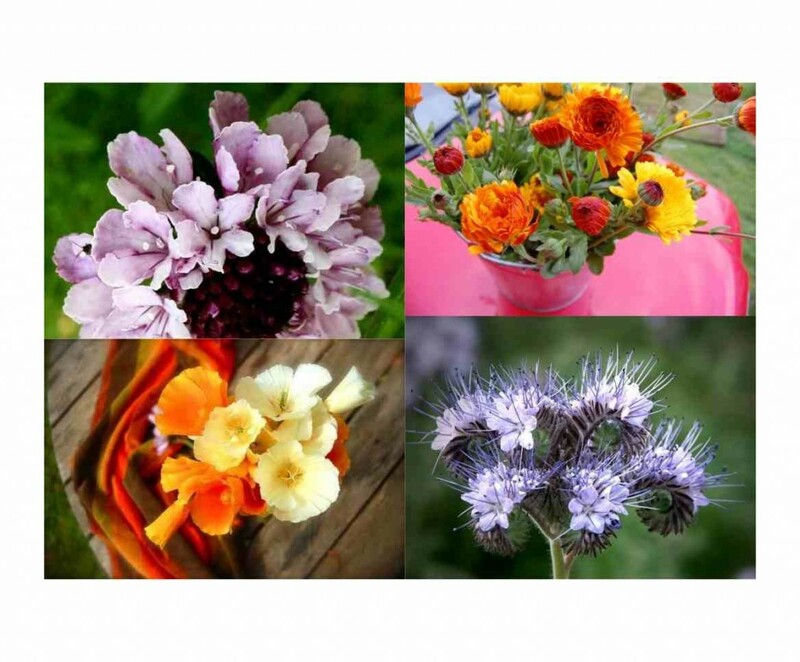 The favorable quality that Hardy annuals have for the cut flower grower is their abundance. They are ‘cut and come again’ beauties and will give you buckets full of flowers all season. FAQ: Oi Higg you old sausage! How can I sow my seeds to make a flower garden as good as wot you gone dun did? 60 pots sown up in peat-free compost. *Sowing Hardy Annual Flowers directly into the soil. 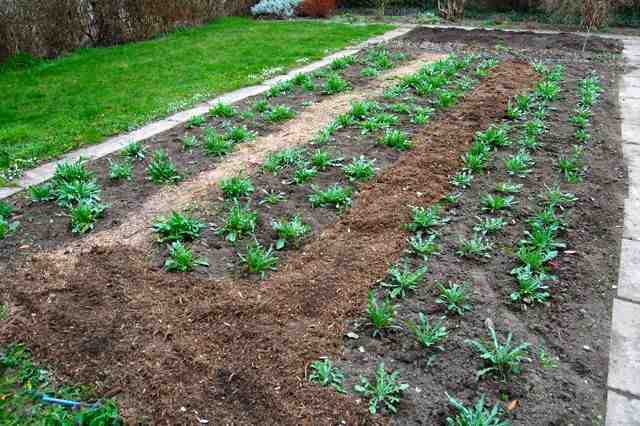 This is the simplest way if you have a weed-free flower patch. It is futile to sow your seeds too early in the season. Seeds sown too early will sit there sulking in the cold soil and will be glorious food for the hungry mice. I don’t sow outside until at least mid-April and even then only if the weather looks mild for the next week or so. I like my flower beds to have three rows of flowers in them each a foot apart. Three feet wide is a good width. If you haven’t got much room then make the paths between the beds narrow but if you have the space it is better to have enough room for a wheelbarrow. Before you sow, dig your soil over until it’s a fine tilth and is totally weed free. Add a good deal of compost if you can as it will keep the soil free draining and help to stop it from becoming compacted. When in your wisdom you have decreed that it is warm enough to sow your seeds, sow them thinly in straight shallow drills. Three lines right down the length of the entire bed. Your seeds only need a light covering of soil. Three or four millimeters is usually fine. Remember, they are seeds and not moles. Water them gently. The chances are that in April the soil already has plenty of moisture in it to get the seeds germinating. Too much water will just make them cold and grumpy. Outdoor sown seeds will take a couple of weeks to show themselves. When the seedlings are about as big as your thumb you can thin them to about a foot apart. Keep on top of the weeding. Native weeds will grow quickly and can swamp your flower seeds if left to roam about being bullish. 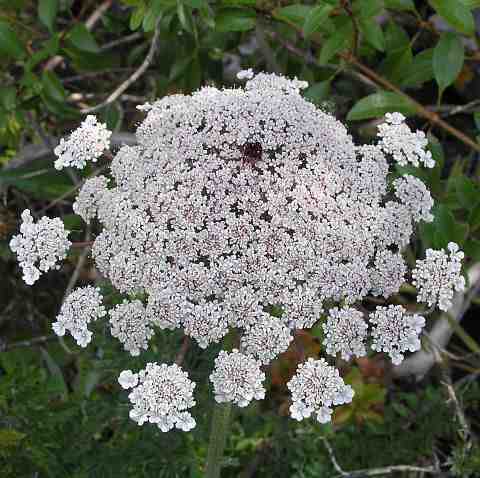 Your plants should start flowering in June, dependent on the weather. *Sowing Hardy Annual Flowers undercover. Sowing into pots before planting out sounds super faffy but it has one huge advantage in that your weeding is all but eliminated. 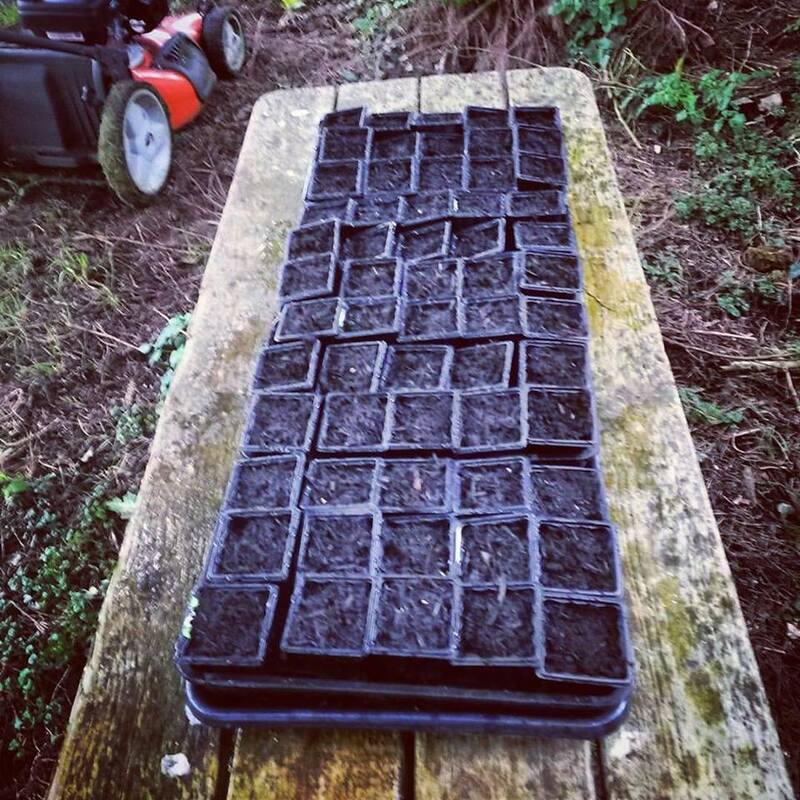 I sow into three-inch square pots from early April. Sow the seeds into good quality compost. I use New Horizon Peat Free and it works for me. Don’t use cheap compost as it seems to get green gunky stuff developing which slows down the growth of the seedling. 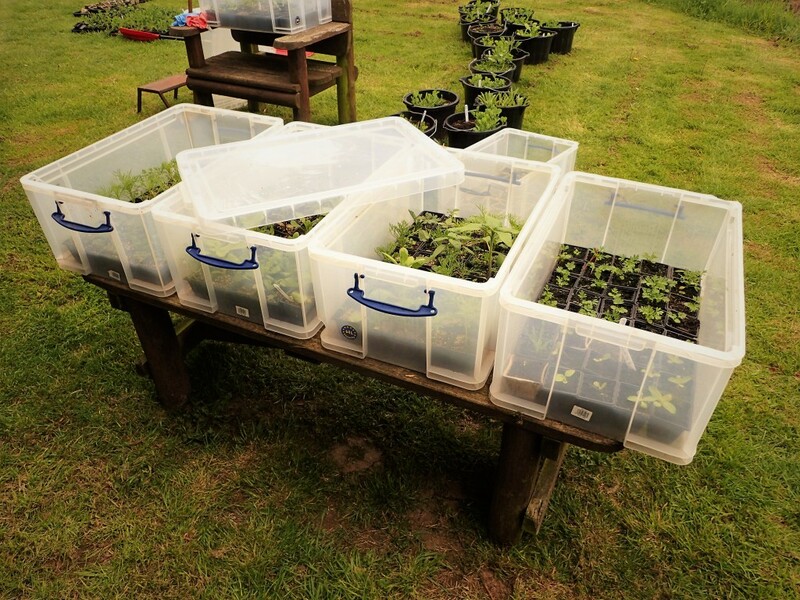 Storage boxes make great mini-greenhouses if you haven’t got one. The seedlings can then happily hang about in these pots until late May when all of the frosts have packed off up north. Naturally, you need to keep them watered. 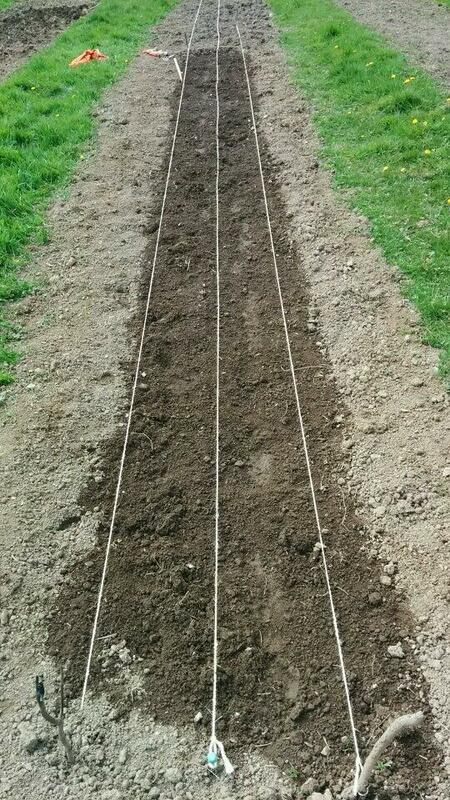 Using this method allows you to quickly clear your beds before you plant up your seedlings. Then mulch around the seedlings…I use a layer of compost. It helps keeps the weeds down and the moisture content up. After planting you can pretty much let your plants get on with it. Just make sure the patch doesn’t dry out. It is a really good idea to measure the area of your cutting patch to work out how many plants you can sensibly get in there. Very roughly you can get about ten per square meter. You may find that you need fewer plants than you imagined. I would sow up twice as many pots as you need plants. This will allow for any failures and also leave you with enough so you can give them to friends and neighbours, thereby demonstrating your silky skills. FAQ: Dear Mr ‘Sauce Kitten’ Higgledy, Which are the best Hardy Annual Flowers To Grow? 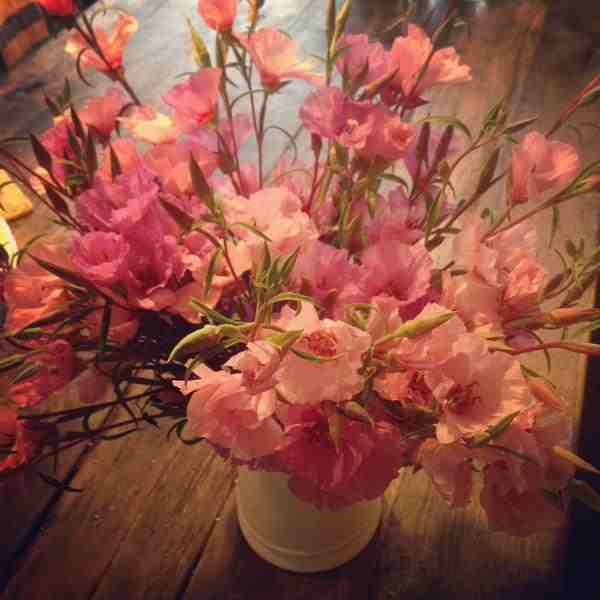 Thank you Kendra for this pic…Godetia….stunning…and SO easy to grow. This, of course, is subjective. Pretty much all of the flowers I stock are suitable for those new to the sport of flower growing. I should say it more important to think about growing a range of different forms and colours. Here are a few I wouldn’t be without. Cornflowers, Larkspur, Phacelia, Calendula, Ammi majus, Daucus carota, Malope, Godetia, Scabiosa, Corncockle (Which reminds me I need to get some more in the shop.) Dill, Eschscholzia and Gypsophila. Autumn Sowing Of Hardy Annual Flowers. Nigella damascena. ‘Persian Jewels’ & ‘Oxford Blue’.